West Branch Reservoir West Branch Reservoir is in Portage County. 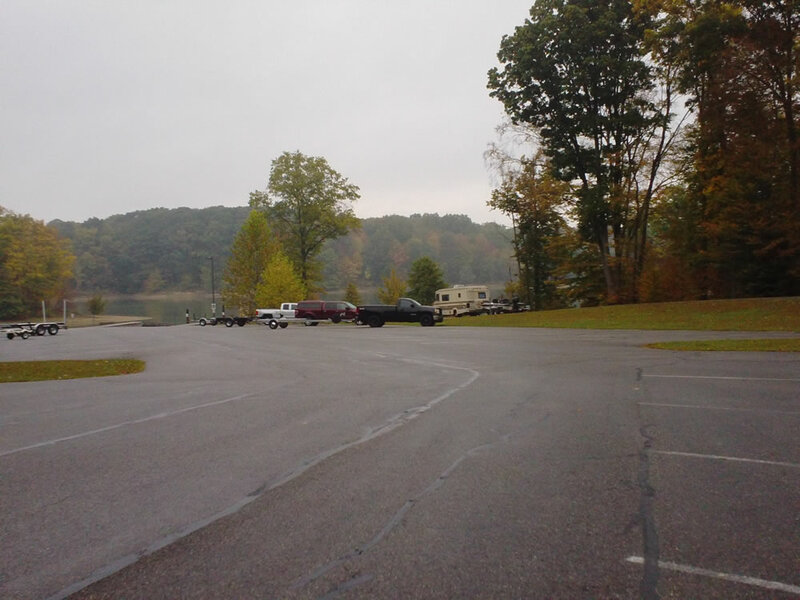 This lake covers 2350 acres of water and 40 miles of shoreline at normal pool. 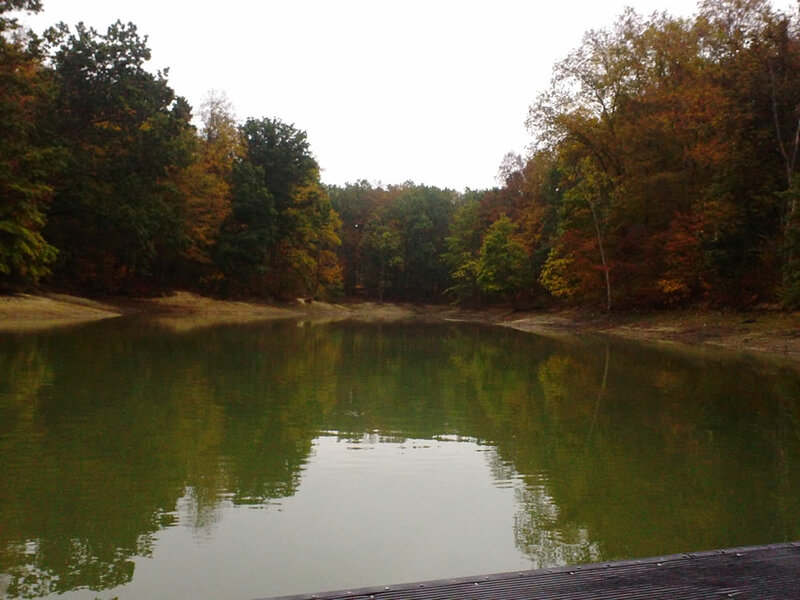 The lake is within Ohio Division of Wildlife District Three. 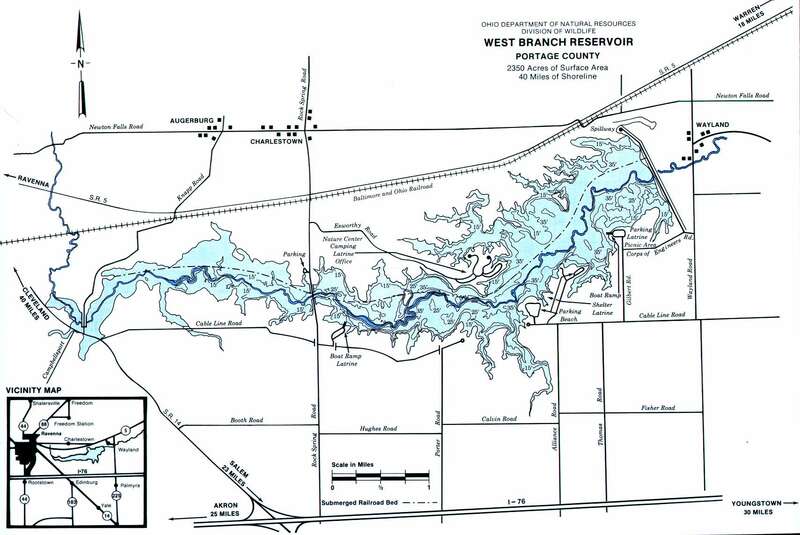 Location West Branch Reservoir is located in Portage County situated along the south side of State Route 5. It is about 5 miles east of Ravenna and in the quadrangle formed by State Route 5 to the north – State Route 225 to the east – I-76 to the south – State Route 14 to the west. Distance from Major Cities Approximately 20 miles east of Akron. Approximately 35 miles southeast of Cleveland. Approximately 25 miles west of Youngstown. 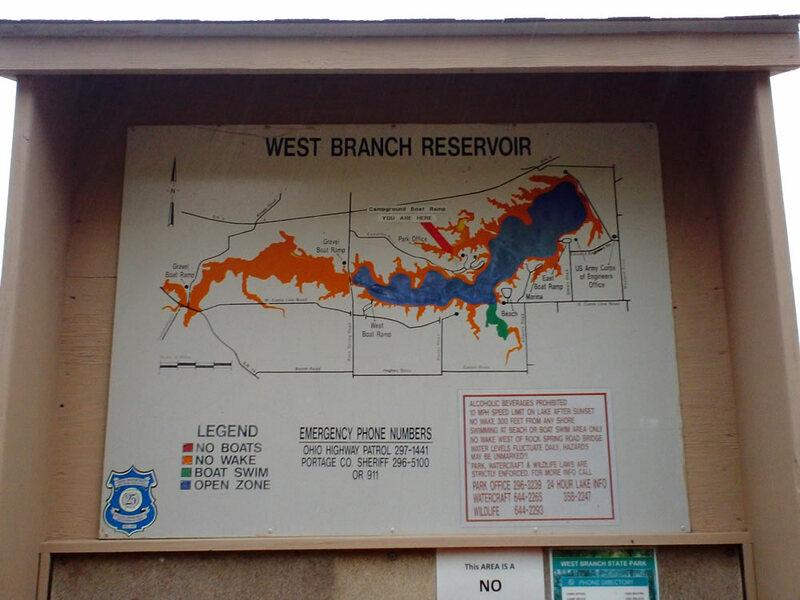 Fishing Opportunities West Branch Reservoir fishing opportunities include Tiger Musky *Northern Pike *Striped Bass *Largemouth and Smallmouth Bass *Walleye *Yellow Perch *White and Black Crappie *Bluegill *Bullhead *Channel Catfish. Boating Information There is no horsepower restriction on West Branch Reservoir. Two improved launch ramps serve the lake – at the southeast end of the lake at Gilbert Road has four lanes. 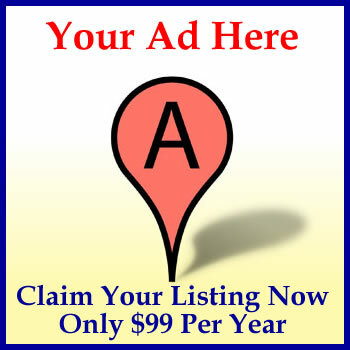 A marina nearby also features boat rentals and other amenities. 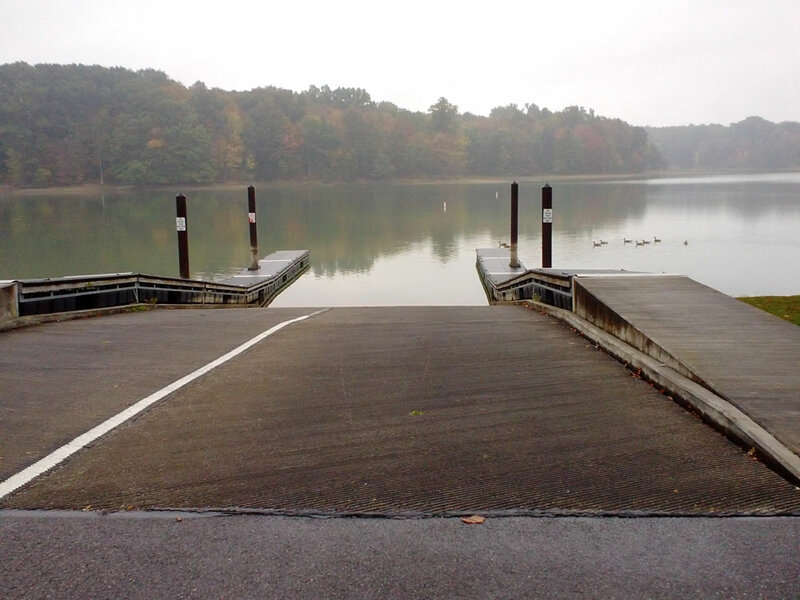 The second ramp is on the south side of the lake at the West Marina. 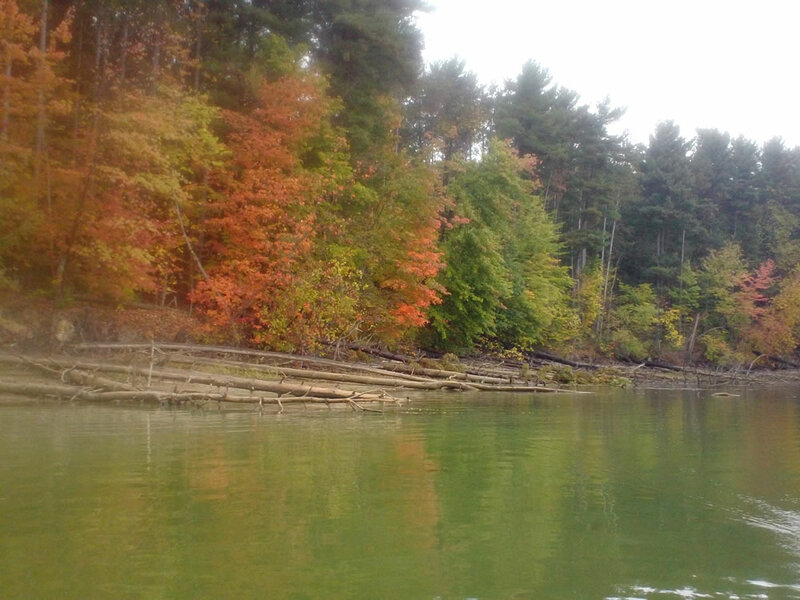 There is a no wake zone 0-300 feet from shore and the upper end of the lake has a no-wake speed limit. State Management The Division of Wildlife activities include monitoring fish populations ~ constructing fish attractors ~ physical and chemical water analysis. We chose a warm, rainy day to fish West Branch. 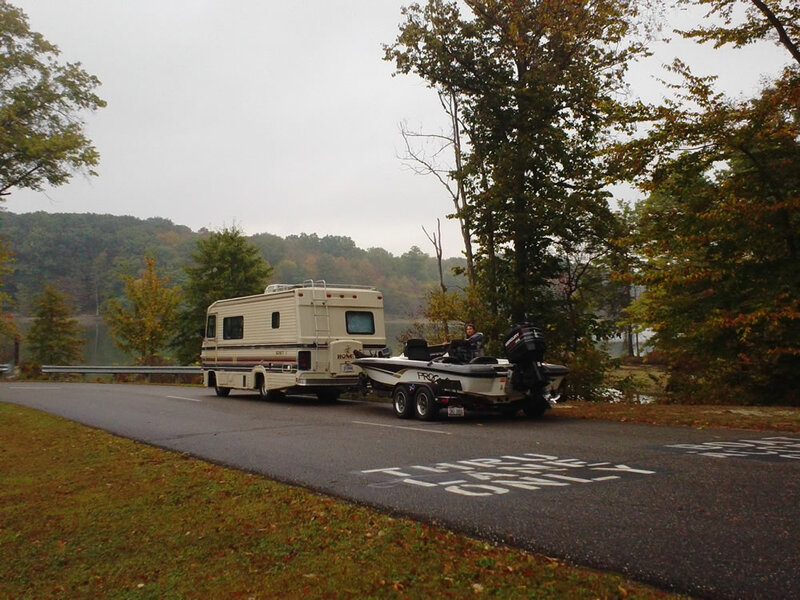 We didn’t know they had lowered the lake already, but had no trouble launching our boat from the campground ramp. 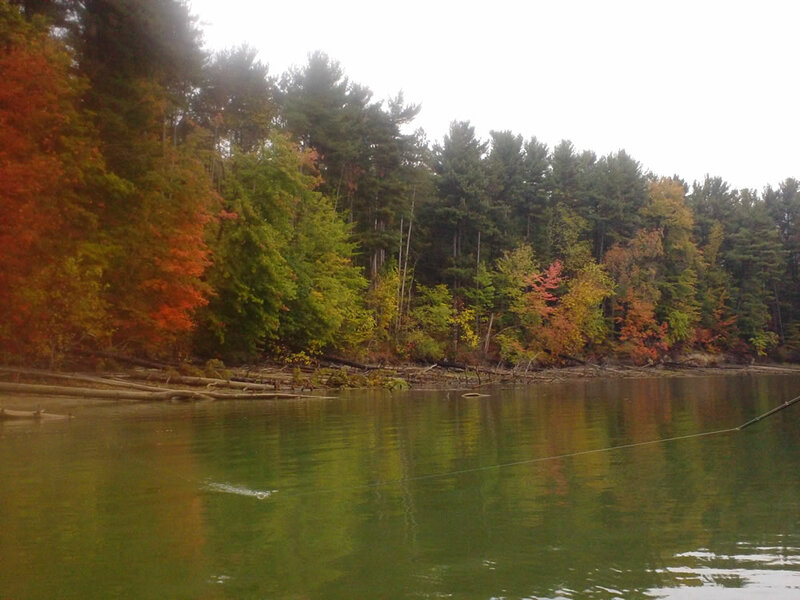 This particular ramp is located in the Jay Lake section of West Branch, which was the area we had chose to fish. the water temperature was 68 degrees. with all the lay downs and brush out of the water, we concentrated on points and remaining lily pad & weed patches that had some current flowing across them. 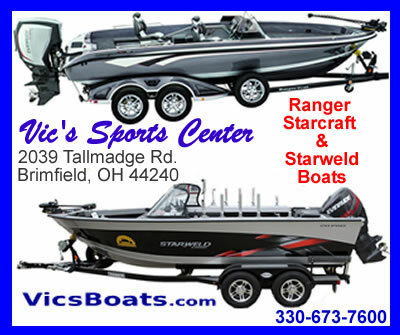 We were able to get musky and bass to chase and slap at buzzbaits & popRs – even had a couple musky on the line for a few seconds – but no commitment or fish in the boat today. We will return when the water is back to full pool in the Spring and see what we can stir up!